It is a description of a case of nervous breakdown beginning something as mine did, and treated as Dr. S. Weir Mitchell treated me with what I consider the inevitable result, progressive insanity. Gilman sent her manuscript to William Dean Howells in 1890, who tried to place it in The Atlantic Monthly, but the magazine’s current editor declined, saying the story made him feel “miserable.” It was published instead by The New England Monthly in 1892—although she never received payment, having apparently been robbed by an unscrupulous agent. In 1920, the year he died, Howells included “The Yellow Wall Paper” in The Great Modern American Stories. But for the next fifty years, the story was largely confined to Gothic horror anthologies—until Elaine Hedges published an edition for The Feminist Press in 1973, calling it a “small literary masterpiece.” In recent decades, the story has been ubiquitous in literary anthologies and textbooks and is now widely taught to high school and college students. Note: Wall Paper or Wall-Paper or Wallpaper? Readers will note that the spelling of the title of Gilman’s most famous work varies from source to source. The story was reprinted several times during Gilman’s life, and the title was printed in any number of ways. 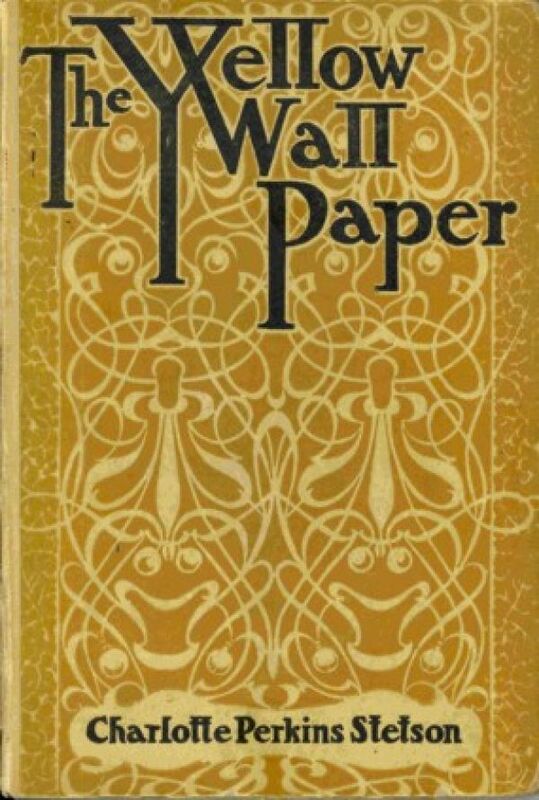 The LOA uses the text of the story’s first appearance as a small book, published in 1899 and titled The Yellow Wall Paper. A colonial mansion, a hereditary estate, I would say a haunted house, and reach the height of romantic felicity,—but that would be asking too much of fate! . . . If you don't see the full selection below, click here (PDF) or click here (Google Docs) to read it—free! Exceptional depiction of a mind gone wrong by a person who got her mind back to clarity--with a strong depiction of people who won't recognize the emotional and psychological hazards of life. I read this many decades ago, forgot it completely, and felt goosebumps all over again. This time tho I better appreciated Gilman's pacing. An all-time favorite. Thank you for posting.